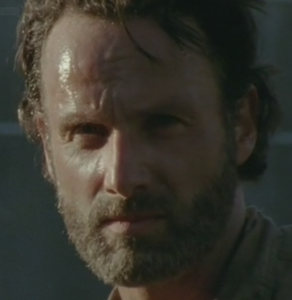 The opening of the season 4 premiere showed Rick busy farming the prison grounds. He stops for a moment when he comes across a handgun buried in the ground. 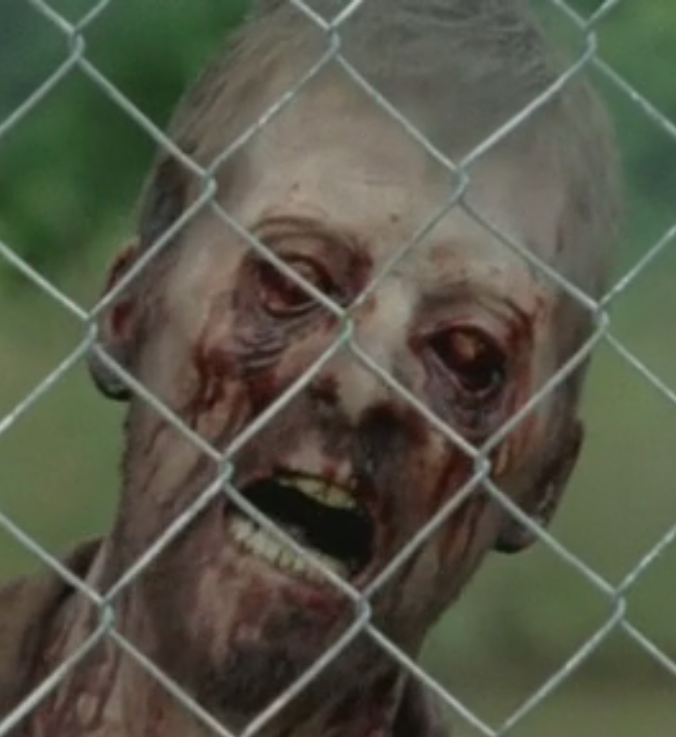 It is during this pause that he happens to notice the walker with the bloody eyes right outside the prison fence. This same walker is then shown later near the end of the episode when Rick once again stares at it ever so intensely. What do you think the relevance of this walker is? Do you think the blood coming from the eyes is a nod towards the new threat which we have been hearing about? What about Patrick’s death in the shower, do you think this walker possibly died in the same way? Patrick also seemed to have blood coming from his eyes/nose (but that could have just been from the fall), is this what the new threat is about? When we saw Patrick heading to the showers, he was in an awful state; sweating, shivering and coughing. All signs leading towards a fever of some sort. Could Patrick’s death be related to the walker with the bloody eyes? There is also the possibility that it is in the water somehow? Or maybe something like the Spanish flu / Ebola? Then again, it could be something like the Viral hemorrhagic fever what a lovely thought that is… although it could explain why we see Daryl wearing a scarf around his nose and mouth in next weeks episode “Infected”. So many questions, what do you think?